I have been reading like crazy since Christmas when my sweet hubby got me a Nook as my gift, and my awesome family loaded me up with more than $250 worth of gift cards. I’ve read lots of books that I haven’t recommended because I tend to keep reading even when I’m not really interested just to finish the book. I’ve had some duds, but I just discovered a new author who is amazing. Her name is Allison Brennan. She has several different series, but I read the Lucy Kincaid trilogy. These books are page-turners, and they are very well written. The author uses such descriptive words that you can really imagine the scenes. I also developed a deep connection to the main characters and found myself feeling emotions as I read about events taking place. 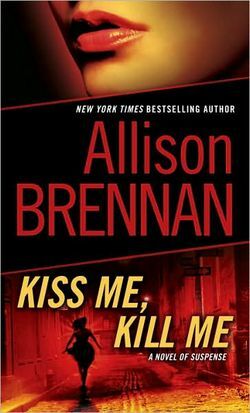 The first two books in the series are Love Me to Death and Kiss Me, Kill Me. The third, If I Should Die, is not out yet, but the excerpt already has me hooked! I’ve downloaded book 1 of the FBI trilogy, but I haven’t started it yet. I’m currently reading a book that was recommended on another blog of a friend called, My name is Memory by Ann Brashers. I’m only about 50 pages in, but I know I will love this book because of the storyline. Mom, I recommend this one for you, and Dad might like it as well! Here’s a link to the synopsis.